Every once in a while, I get a food daydream. Not a food craving, but a daydream, where just for a split-second, I am suddenly imagining myself eating something I could never get here in rural China. 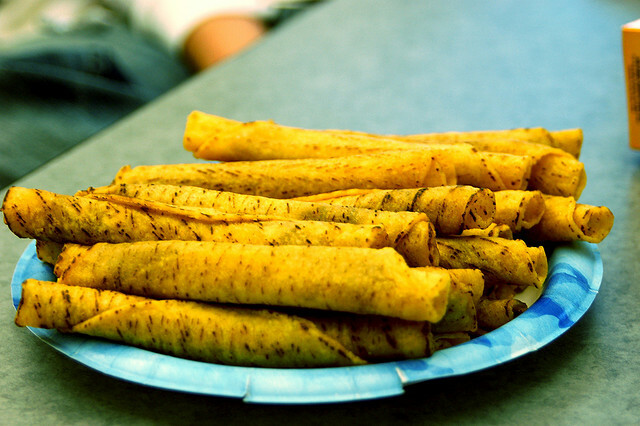 Today’s dream was taquitos. Fresh, hot, crispy shredded beef taquitos with that thin, watery taco shop hot sauce. The kind where you have to remember to check for broken bits of toothpick when you’re eating them. Or, potato taquitos, sold by the dozen, wrapped up in food service paper, popped into a brown paper bag that will soon have a grease spot spreading out over one side. Alas, it will be at least 11 months before I can eat those again in real life. Not that I’m counting.